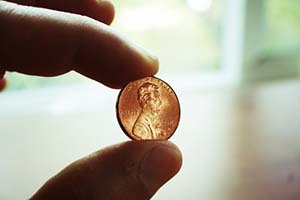 Today we're bringing you the top five penny stocks to watch this week. These top performers made big gains last week, with one even surging 95%. Every week, Money Morning puts together a new list of the best penny stocks. The top penny stocks this week are from all different industries – from pharmaceuticals to mining. But before we get to these potentially promising companies, let's take a look at the three best strategies for trading penny stocks. With these strategies, you can be the one to decide whether these stocks are worth your money. One of the best strategies for trading penny stocks is to study 10-K reports. A 10-K report is an annual summary of a company's financial performance. It will tell you everything you need to know about a company's liabilities, assets, and revenue figures. In addition, looking at a company's 10-K will help you see if the company is actually making money or just blowing smoke. It will also show if the company has taken on too much debt, making it a bad long-term investment. You can pull a 10-K report from the U.S. Securities and Exchange Commission's website. The next best strategy for trading penny stocks is to watch for "pump-and-dump" activity. Take a look at the company's stock performance for the last year. If there are too many dips and pops, it means that some traders are artificially inflating the stock, then selling it at a higher price. You can avoid being a victim of this scheme by watching out for false promotions or spurious promises of unrealistic gains. The last strategy you'll need to trade penny stocks: Stick to the major exchanges, like the NYSEMKT or Nasdaq. Most penny stocks trade Over-the-Counter, or on the Pink Sheets. Stocks listed on the Pink Sheets, however, don't require the same level of financial reporting as stocks on the NYSEMKT or Nasdaq do. For example, the Nasdaq requires listed companies to have profit in the prior three years of at least $11 million, among other tough requirements. And the NYSE requires companies to trade at a price of $3 per share or above, among other strict regulations. Arcadia is an agricultural biotechnology trait company. It develops a portfolio of yields and traits, like Nitrogen Use Efficiency (NUE) or Drought Tolerance (DT), across multiple crop categories. It also has a pipeline of products in development for incorporating its traits. RKDA stock was up nearly 40% last week, although there seems to be no catalyst for the surge, other than general speculation. RKDA stock is trading at $2.28 per share and is down 23% year to date. Connecture provides a consumer shopping platform for health insurance companies. It sells healthcare companies information systems that allow their customers to buy and compare different healthcare plans. CNXR stock was up 41% last week, but there was no apparent catalyst for the jump that week. Back on June 7, however, the company did announce it was acquiring its major competitor, ConnectedHealth, in an effort to rekindle its operations. CNXR stock is trading at $2.58 per share and is down 28% year to date. Vista is a gold mining company. The company is involved in acquiring, evaluating, and exploring gold. It operates mostly out of Australia and North America. VGZ stock was up 64% last week after it announced a new senior vice president and chief financial officer of the company, Lindsay Hall. Hall is a chartered accountant with more than 37 years of experience. He was previously the executive vice president of Goldcorp Inc. (NYSE: GG). VGZ stock is trading at $1.31 per share and is up 373% year to date. Exact Sciences is a molecular diagnostics company that helps find and prevent some early forms of cancer. The company has many screening products in its pipeline that cover a range of different cancers. EXAS stock was up 55% last week after it received a "Buy" rating from financial services firm BTIG. The rating was in response to Exact Sciences' finalized screening guidelines for Cologuard, which screens for colon cancer. EXAS stock is trading at $10.87 per share and is up 17% year to date. GlobeImmune is a biopharmaceutical company focused on developing products that treat cancer and infectious diseases. GBIM stock was up nearly 100% last week, although there was no apparent reason for the jump. The stock appears to have been boosted by general speculation. GlobeImmune is trading for $2.44 per share and is down 36% year to date.